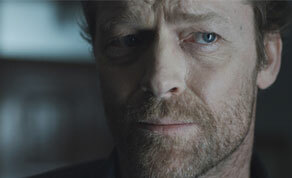 'Jack Taylor: Shot Down' currently filming. ‘Jack Taylor: Shot Down’ - the season one finale of TV3’s adaptation of the murder mystery novels by Ken Bruen - is currently filming until 28th June in Wicklow. Principal photography began on 11th June, taking in locations at Ardmore studios, Kilruddery and Bray - as the final 90 minute installment in the six-episode first season. Produced by David Collins (Samson Films), co-produced by Edwina Forkin (Zanzibar Films) and directed/produced by Stuart Orme, ‘Jack Taylor: Shot Down’ is based on the book 'The Killing of the Tinkers' and follows Jack’s attempts to help an eleven year old traveller girl named Rosie who witnessed her mother’s murder but has suppressed the memory. As Jack investigates, he attempts to unlock the secrets of Rosie's damaged mind, while dealing with a traveller feud and racing against time to find the killer before he strikes again. Iain Glen (‘Game of Thrones’) reprises the titular role alongside Killian Scott (‘Love/Hate’) - following their earlier adventures in ‘The Guards’, ‘The Pikemen’, ‘The Magdalene Martyrs’, ‘The Dramatist’ and ‘Priest’. The episode started filming on Monday 11th June, to conclude on 28th June, with Stuart Orme helming the entire season. Ms Forkin confirmed that Jack Taylor will return for season two next year, with ‘Jack Taylor: Shot Down’ set to air on TV3 in the Autumn.